If you’ve ever thought that your job and the annoying emails, coworkers, and early mornings that go along with it shaved years off your life, it may not be worse than the alternative: Long-term unemployment speeds aging and increases the risk of age-related diseases, according to a new study from the University of Oulu in Finland. Researchers studied DNA samples of more than 5,600 people born in 1966. Thirty-one years later, they found that those whod been unemployed for at least two years were more than twice as likely to have short telomeres. What does that have to do with aging? A lot: telomeres are protective caps located at the ends of chromosomes and shorten throughout your lifetime. As they shrink, theyre linked to a greater risk of age-related illnesses including type 2 diabetes and heart disease. Dont go another day without learning these 10 Commandments Of Cholesterol Control. 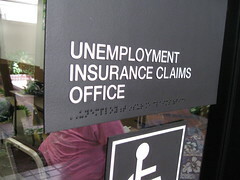 Read More Could losing your job cost you your life? – Aging Well – MSN Healthy Living. This entry was posted in News from the Soul Brother and tagged disease, health, illness, jobs, unemployment, Unemployment Rate. Bookmark the permalink.